Quirky Vung Tau, just two hours from Ho Chi Minh City, is a great place for a family weekend away from the chaos of the big city. We list below the best things to do there with kids. The traffic is laid back, the people are friendly and there's a range of accommodation options to suit most budgets. Vung Tau also has beaches for long leisurely walks (not necessarily for swimming - if you want to swim, book a hotel with a pool), temples to explore and terrific seafood to indulge in. The city isn't as glitzy as other seaside tourist spots, such as Mui Ne and Nha Trang, and the locals like it this way. The local oil industry generates enough revenue so locals don't feel the need to chase the tourist dollars. 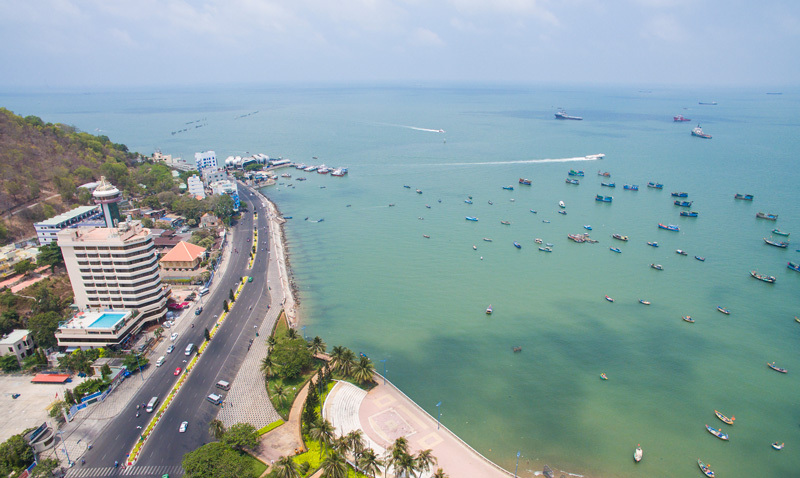 Vung Tau's tourist infrastructure is more geared to the domestic market than to international visitors, and that's part of what gives the city its own unique appeal. There's a host of rather oddball tourist attractions, the most famous being the giant Jesus statue on top of Mount Nho (Small Mountain). It's rather a long, hot and sweaty hike up the 847 steps to the Christ the King Statue, as it's officially known. But at the top hikers are greeted with cool sea breezes, amazing views and a small shop selling drinks and snacks. Inside the Jesus is a small art gallery that's usually open in the mornings and afternoons (not during lunchtime). You can continue in the Christian vein with a visit to the giant Mary statue, Our Lady of Bao Dai, on the western side of Mount Lon (Big Mountain). If you are more interested with Buddhism, explore the beautiful Thich Ca Phat Dai Pagoda, on the northwestern side of Mount Lon, which has a giant white Buddha perched at the top. Don't forget to read our 12 Beautiful Pagodas in Vietnam. 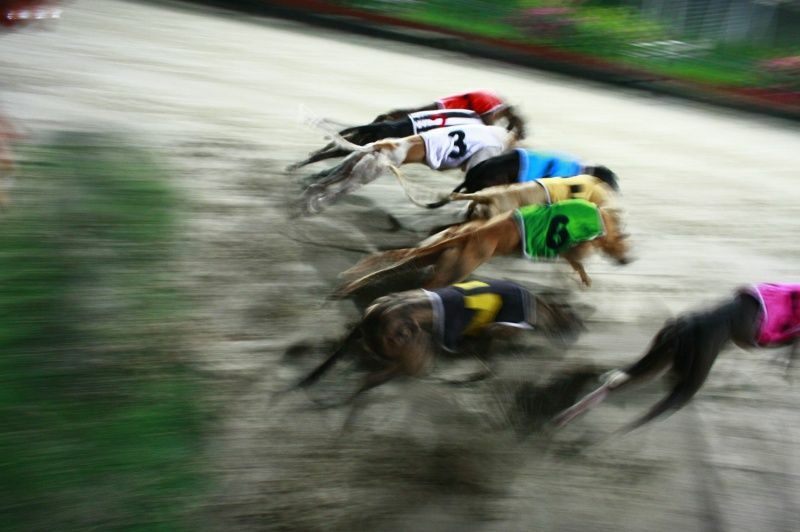 More unusual family fun can be had at Vung Tau's Lam Son Stadium, which hosts greyhound racing every Friday and Saturday night starting at 7pm. It's one of the few places in Vietnam where Vietnamese people can legally gamble. Each race is over in a flash, lasting about 30 seconds, but the real attraction here is the vibe, with the crowd cheering the winners and excitedly discussing their bets. For kids, the highlight is probably the dog parade before each race. The minimum bet is VND10,000, so having a flutter won't break the bank, and it's easy to place bets because the program is printed in English, as well as Vietnamese and Chinese. Children under 10 years of age receive free admission. The general entrance fee is VND50,000 while access to the air-conditioned VIP area is VND100,000. Pint-sized pirate-lovers can be entertained for an hour or so at the White Palace, also known as Bach Dinh, one of the many summer homes of the last emperor of Vietnam, Bao Dai. The upper floor of the palace is much as it would have been when the royal family used it, but the lower floor is where the real treasure is. Cabinets display 17th and 18th century Chinese artefacts recovered from a shipwreck discovered off of Vietnam's Con Dao Islands. For a full day of family activities, take the cable car up to Ho May Park, which has a theme park with roller coasters, dodgem cars, and other rides, as well as a play area for younger children. A range of adventure activities are offered including horse riding, horse-drawn carriage, swan-shaped paddle boats, ziplining, paintball and rock climbing. 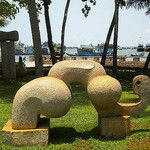 The park is probably one of the most fun things to do with kids in Vung Tau. For family relaxation, take a break at Lan Rung Resort and Spa's ocean-front restaurant on Ha Long Street. The kids can play spot-the-cherub while the parents enjoy the view and a coffee. If you choose to stay here, you'll be able to use the kid-friendly pool, which overlooks the sea (and is much cleaner). In the evenings, join the locals, snacking on street food sold from hand cars, getting weighed on mobile weighing machines (which also tell your fortune); and watching couples ride tandem "love bicycles" up and down the waterfront. Vung Tau's dining options are as quirky as the town itself. The must-try local specialty is banh khot, and the best banh khot place in town is Banh Khot Goc Vu Sua at 14 Nguyen Truong To Street. Every morning, the lovely ladies at Banh Khot Goc Vu Sua ladle a creamy batter into cupcake-shaped moulds in a smoking-hot griddle, then place a peeled baby prawn on each little savoury cake. Each cake is topped with green onion and served with a platter of herbs, including mustard leaves and a sweet and tangy dipping sauce. Banh Khot is eaten by selecting a mustard or lettuce leaf, layering on a selection of herbs and one banh khot cake, then rolling it up and soaking it inthe dipping sauce. Delicious, quite messy, buta lot of fun. The best seafood place in town is the seaside Ganh Hao at 3 Tran Phu Street. Make sure you include Ganh Hao's special spring rolls when you order your seafood feast. They may just be the best in Vietnam. For more Western fare, you can go Australian at Matilda's Pub or English at Haven Beach Bar, which is a great spot for sunset drinks if you don't fancy bangers and mash or chicken pie. There's also a Ukranian restaurant, Kozac, which serves a range of Eastern European dishes, as well as Russian beer. Options include Lan Rung Resort and Spa, the more upmarket Imperial Hotel, both within walking distance to the beach and each with a pool, or the the family-run Sakura Hotel,a budget guesthouse which is a short taxi ride to the beach. All in All, a quick trip outside of Saigon can turn into something much more than that when visiting Vung Tau. Off the beaten tourist path, this peculiar seaside city has something for every member of the family. If you have recommendations of things to do in Vung Tau with kids, don't hesitate to post a comment in the form below. Barbara and her husband Vu lead street food tours in Ho Chi Minh City's back streets through Saigon Street Eats. Since their first bundle of joy arrived five years ago, Barbara, a former journalist, has become a family travel expert. Follow Barbara's blog here. 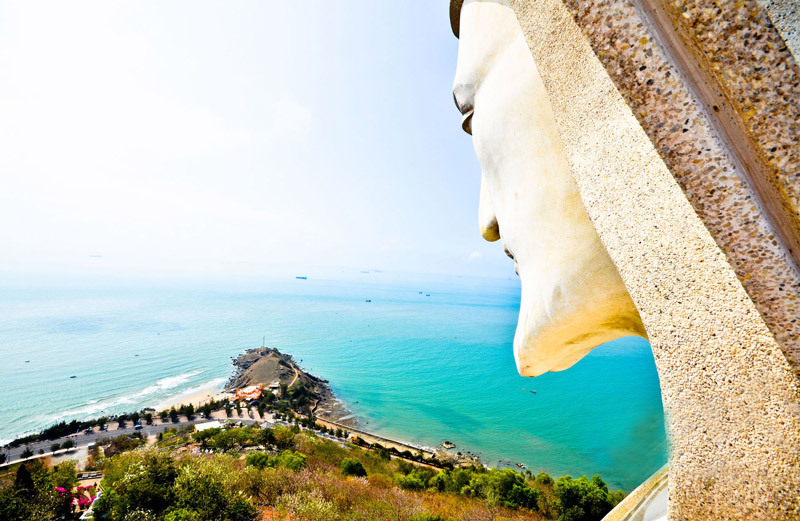 Vung Tau, in the Southeast of Vietnam, boasts sandy beaches such as Bãi Trước (Front Beach), Bãi Sau (Back Beach), and Bãi Dâu (Strawberry beach) and its impressive monuments such as the 18-metre tall lighthouse and massive statue of Jesus placed on Núi Nhỏ mountain have always made the area an easy and interesting getaway from Saigon for locals and tourists alike. Visitors can also take a cable car or hike to the top of Núi Lớn (Big Hill) where there is a theme park with adventure games. The view from the top of the hill offers a panoramic vision of the city and the ocean in all her splendor. The temperate climate enables Vung Tau city to welcome millions of tourists each year. Nature favors Vung Tau with two hills, which look like two giants guarding the city from disaster. Yet, the conflict that Vung Tau is currently experiencing is not coming towards the city in the form of invaders or from the sea or sky in the form of a natural disaster. Instead, the problem is building up on the very beaches that Vung Tau is known for. In contrast to the natural beauty of the area, the city is experiencing an overwhelming amount of plastic trash on the beaches, which is causing ocean pollution. This problem is threatening the lives of the fish and other marine life, which generate a major source of income for many local people, and it is changing the balance of the ocean ecosystem. On certain days, the shore is literally covered by plastic trash in all forms. As the tide rolls in the trash rolls out and as a consequence the fishermen pull up nets full plastic bottles and bags along with their fish. 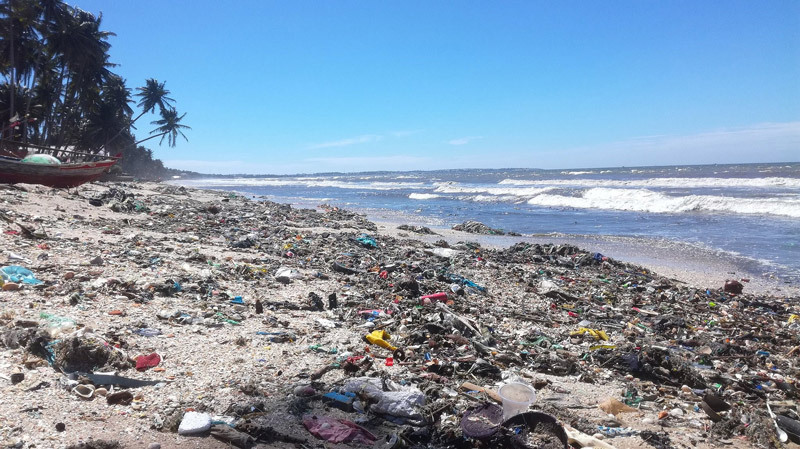 Locals in the region have grown tired of swimming in a trash ocean, and Vung Tau’s name when it comes to tourism is rapidly declining. 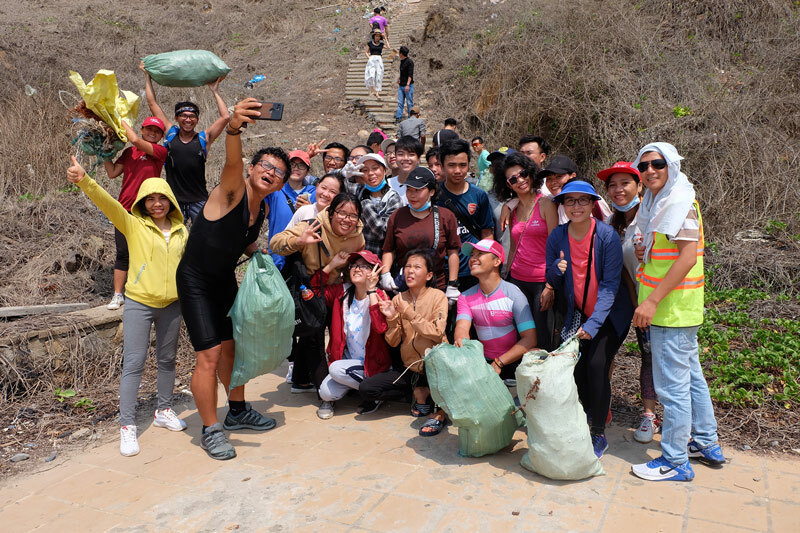 To address this rising plastic pollution in Vung Tau city in particular and Vietnam in general, Chạy Nhặt project was formed by Vung Tau locals to protect the beauty of their home. In 2016, a Swedish native named Erik Ahlström coined the phrase “plogging”, which is a combination of the words jogging and picking up litter. The movement has picked up and now there is an entire website dedicated to the concept and to be used as a call to action for others interested in meet-ups. 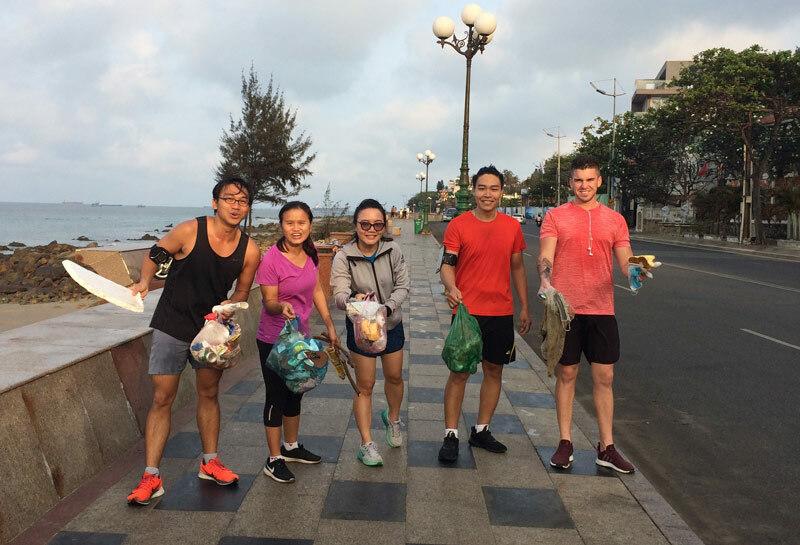 Chạy Nhặt takes this idea and transforms it for Vietnam, using two words that literally mean running and picking up trash in Vietnamese. The ultimate goal of the project is to raise awareness about plastic pollution in the ocean through multiple activities such as ‘plogging’, education, and fundraising. The project targets everyone who has dual passion for the environment and sports. 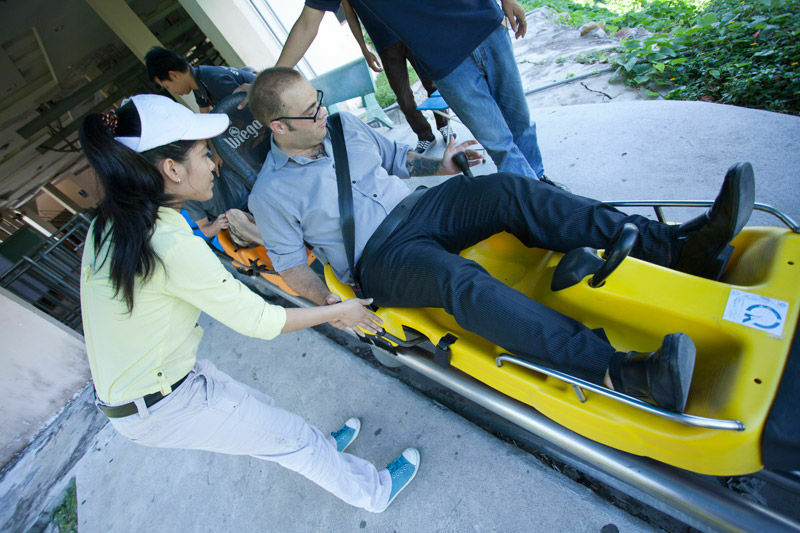 Since its recent inception in February 2018, the project has surpassed some of its goals. 350 participants (local and international tourists) joined the project, over 700 kilograms (equivalent to 1,400 pounds) of plastic trash was collected, and more than 10 seminars with 300+ highschool students were presented. To solve the problem of plastic pollution sustainably, it requires effective cooperation from different stakeholders, starting with individuals. Your support and participation means a lot to the project as well as the local community. If you have strong passion for the environment and would like to give back to the local community while travelling, join the Chạy Nhặt project. - Run either on a trail or along the seashore as far as the participant wishes. - Collect trash for around 5 – 10 minutes. This length can be modified at the request of the participant. - Trash collected will be disposed into the trash bins placed along the beach and the local trash cleaners will empty it every couple hours. - To minimise plastic trash the project uses wooden baskets placed along the beach rather than plastic trash bags. Should you have any inquiry about the project or how to join, please feel free to contact the Founder – Mr. Phat Nguyen by email phatnguyenvt309@gmail.com or mobile at +84 909 931 676. City Pass team used to go to Vung Tau to check the latest and greatest to see whether the destination still deserves a visit. We arrived on Saturday night and that means the greyhound races are the place to be. The races are very popular with tourists, expats and locals as it is the only activity in Vietnam where vietnamese people can legally bet money. The first race starts at 7:15pm with a total of 12 races with 8 dogs competing in each race. The selected greyhounds belong to a tall and large hunting dog breed from Ireland. A mature greyhound that weighs 22-30kg is imported at a price of nearly US$2,000. When the greyhound is four-month old and weighs 3-4kg, a five month training regimen is introduced to get them in shape for the races. A mature greyhound can have a racing career that lasts at least 4 years. 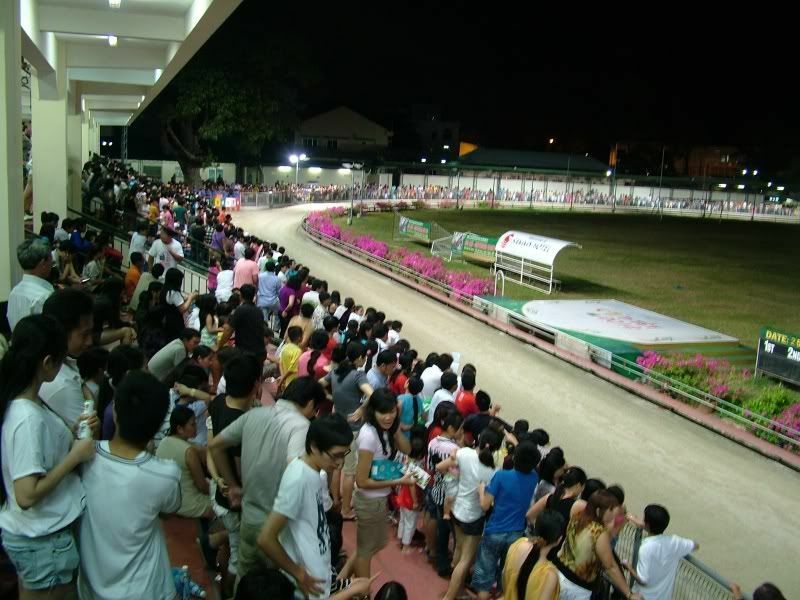 The Greyhound Racing Track – Lam Son Stadium at 15 Le Loi Street can hold up to 5000 spectators (including 500 vip seats). Races take place there every Saturday from 7 PM until 10:30 PM. There are many monitors spread throughout the stadium that give you the current tote odds on WIN, EXACTA and TRIFECTA betting. These monitors also televise the races. Each circuit is 450m long and involves eight dogs that run at a speed of nearly 60km/hour or about 30 seconds per lap on average. Spending most of the time on moving back and forth, we found that there are 3 types of spectators which make for quite a different experience depending on where you watch the races. The serious gambler is the first type of visitor. They are usually Vung Tau locals or HCMC visitors who are well-dressed. Quite a diverse crowd, there is one thing they have in common: they are very serious about betting money on the races. You can see these types of gamblers in the VIP area surrounded by waiters, waitress and more importantly brokers. These gamblers are constantly receiving tips from brokers and always try to get the inside scoop to beat the odds. However, for most spectators, it is almost impossible to find the excitement and enjoyment of the races in these too serious surroundings. To experience the true excitement of the races, one must plant themselves in front of the fence next to the track. This is where you will find most of the spectators. They usually bet a small amount of money and are there for the experience and exhilaration of the races. "The purpose of this fun activity is to bring a happy night-out to visitors. With a bit of luck, you can win back your entrance fee. With a bit more, you can end up a day in a local bar." said by Mr. John - a visitor from USA. In the middle of the stands, you will find couples, groups of friends, families gathered together. Betting even more infrequently than the previous type of visitor, they are more concerned with spending time together than watching the races. These groups will occasionally cheer after a race finishes but they are usually there to soak up the friendly atmosphere good friends and close family bring to the racetrack. City Pass team is happy to share our fantastic experience in the activities to do in Vung Tau section. As soon as you arrive at the gate, go to the ticket booth and pay VND60,000 for a regular ticket. When you are inside, head to the betting areas to receive the tote odds. If you have any questions, feel free to ask any of the English speaking staff in and around the betting area. The minimum bet is VND10.000/race and there is no limit to what you can bet on a race. There are total of 12 races and there is a 15 minute break between each race. Plenty of time for you to check out the greyhounds, make that last minute bet or just grab a beer at one of the many stands dotted around the track. 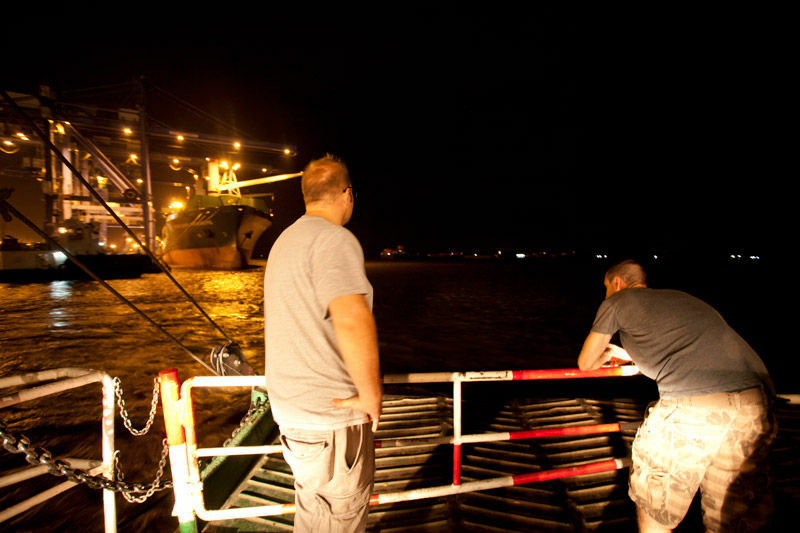 When we were planning the trip for the upcoming Coastal Guide, we knew that we would be working day and night. The trip will encompass over 5 destinations and will take our team of three about 2 or 3 weeks to accumulate everything. Between meeting partners, finding new attractions along with updating current ones and getting vital travel information, it’s hard to find the time to take a step back and smell the roses. Our first destination is Vung Tau. This seaside town is usually missed by most tourists and we wanted to see if there was enough to really call it a destination. We head directly to the peak of Saigon’s infamous rush hour traffic and it took us close to 2 hours to get from the center of District 1 to District 8. Once out of the city however, we made some great time to the Cat Lai ferry where we saw a huge container ships offloading their shipments for their eventual move to Saigon. We arrived in Vung Tau a little bit after midnight and went to our hotel and crashed hard. Typical of these trips, we were up at the crack of dawn to start our day. We headed out to the Statue Park, which has some of the oddest statues I have seen in a park. Walking around the Park, I noticed an older lady with a digital SLR camera and had a bit of a chat. 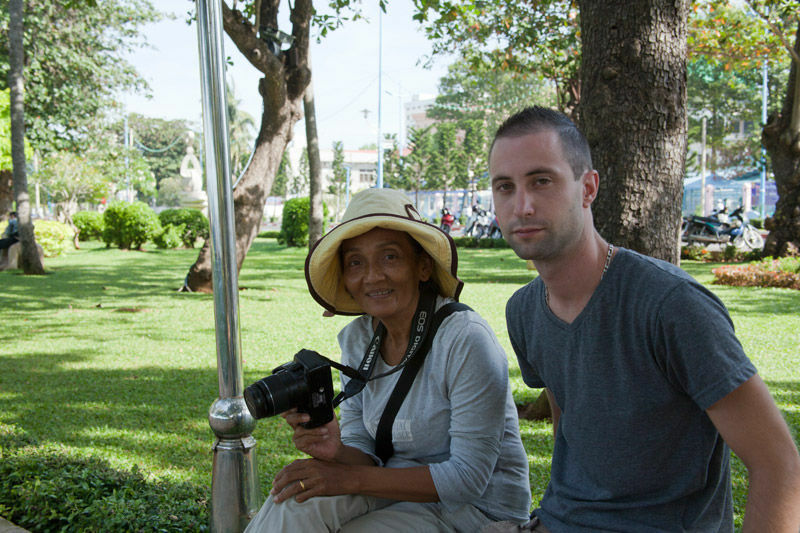 She has been taking photos of tourists visiting the Park for the past 20 years. With the popularity of smartphones and digital cameras, she has lost much of her trade so next time you are in Statue Park, spend the 20,000 Dong to get a photo developed and help out a little slice of the local economy. We also had a chance to head up to the Cloud Lake Eco-resort and had a blast in their Formula 1 race track and their Alpine Coaster. The Alpine Coaster is a definite must-do when at Cloud Lake and I would gladly go again for the experience.